Now then this is something that I have been meaning to do for a while. After seeing this video it gave me a big reminder to do it! This dude has made a fully working Hoverboard! SAY WHATTTTTT!!! Ok it can only hold a coke can at the moment but its all that we have at the moment. I remember the first MP3 Players that came out. They were shite so i think we are off to a flying (tee hee hee) start. I have decided to lay down the time frame as predicted by the amazing “Back to the Future II” where marty McFly steps out of the Delorean time Machine on 21st October 2015. He gets the crazy shoes and the self drying clothes but MOST OF ALL and he gets the hoverboard. This is what I and millions of other boys and girls who saw BTTF2 in the cinemas were promised by Steven Speilberg and Rebert Zemeckis, a contract drawn in my own imagination that is legally binding. 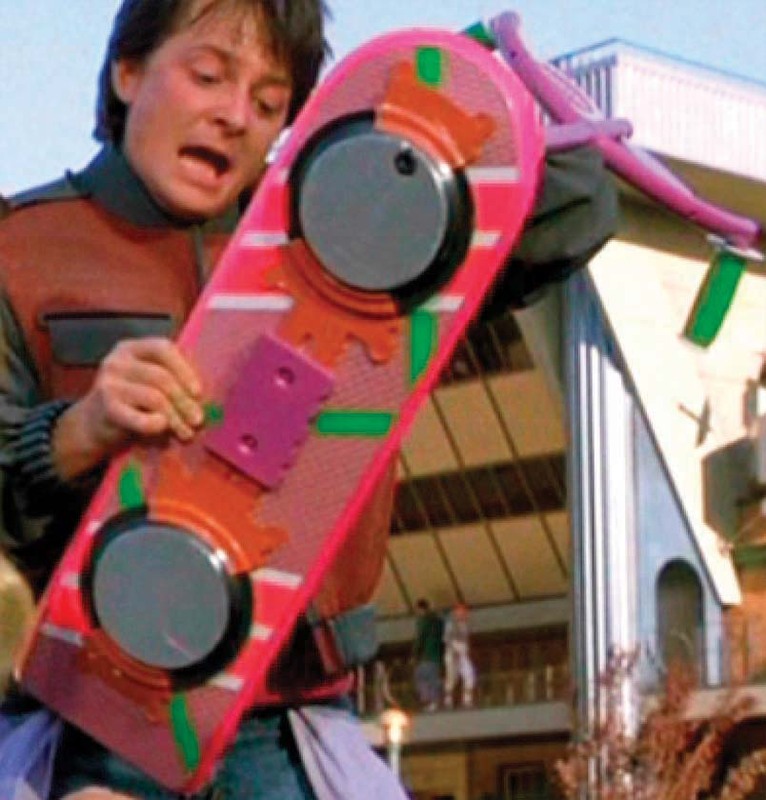 Back To the Future II Hoverboard. Coming to Kobestarr.com First! Its getting quite close to that date now so i thought i’d start to turn the screws a little now. I really want to be trying some prototypes by the start of 2015… this gives them over 10 months to get it right. That is plenty of time! In order to keep a track of when the due date is I have included a little countdown timer to the right of this very page ———–> have a look! Keep coming back here and tell your peeps that are also interested! Remember to hover on the water you need power!